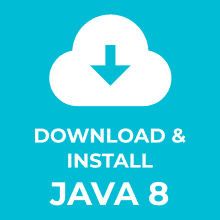 In this tutorial, you’ll learn everything you need to know on how setup Java on Windows. (And most important of all) how to check if everything is working. Click on the Windows Online link. Do you want to skip above steps? 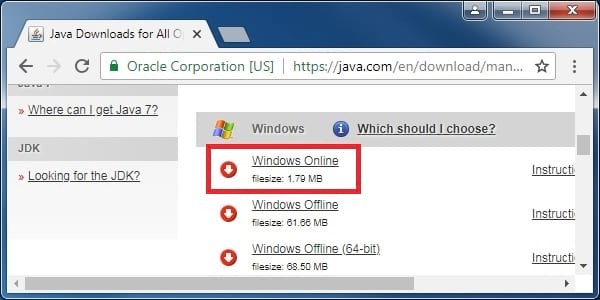 Here is the direct link for the Java online installer for Windows. Double-click on the installer. If needed allow the program to make changes. 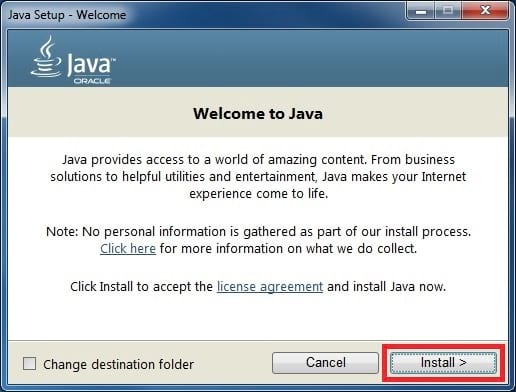 The Java setup welcome window opens. 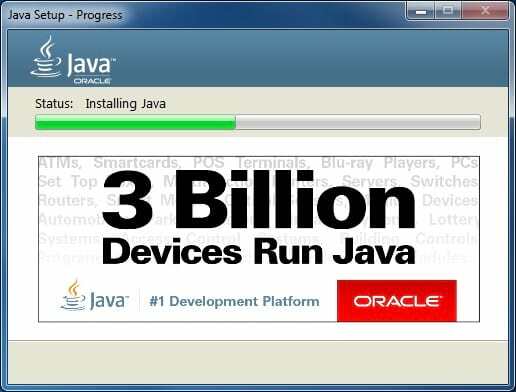 A Java setup progress window appears (this might take a few seconds). The green bar shows the installation progress. 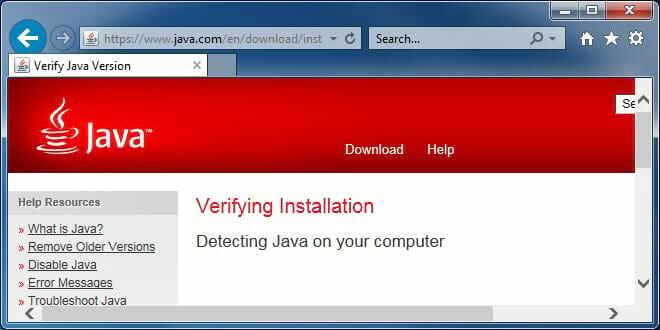 To test the Java setup open Internet Explorer. Mozilla Firefox 64-bit and Google Chrome no longer support Java applets. You cannot use them to perform this test. Go to the Java verification page. 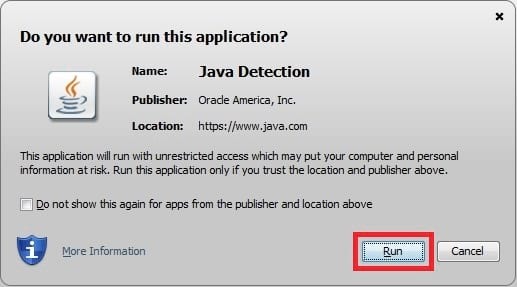 Click on Run to perform the verification. 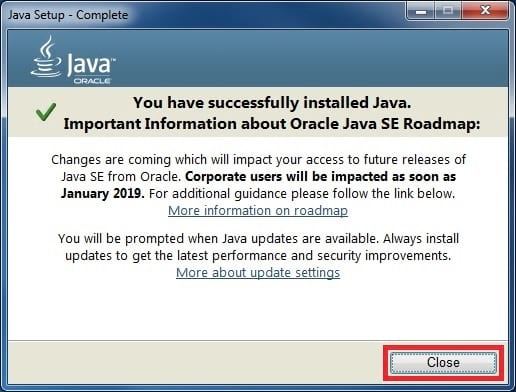 A confirmation message appears if all is OK.
Congratulations, you have installed Java 8 on Windows! Leave a comment below if this post was helpful for you.